When I say "Anything for my dog," I mean for my dog, not for me. 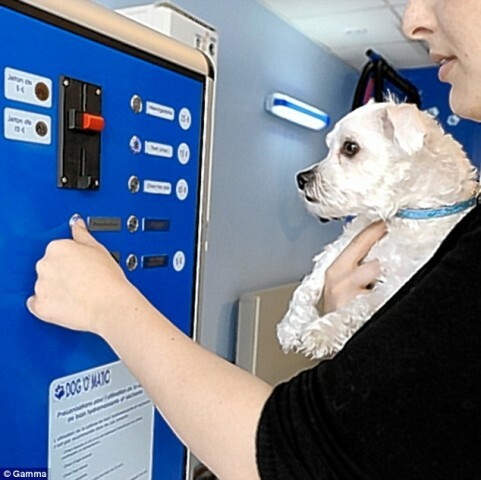 So when I read about these automatic dog washing machines, I have to ask is this gizmo really for a dog? 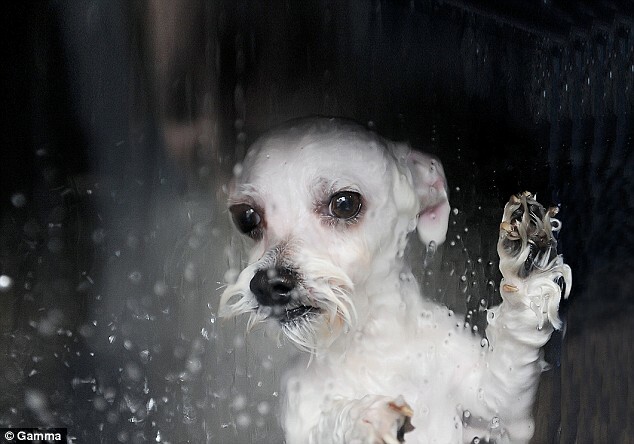 Would my dog be happy to be put in an airtight chamber and then showered from all sides with soap and water? Or would he be like the dog in the picture, trying like heck to tear his way out of the dang thing? I've seen "washing machines" similar to this before, but they never seemed as cruel as the Dog-O-Matic. I don't think that Frenchman Roman Jarry means his coin-operated dog wash to be cruel - as a matter of fact, he flatly denies it -- but what part of these photos that he released looks like the dog is enjoying himself? BEFORE the pup knows what he's in for! Sure, it's great for the owner who doesn't feel like getting splashed with dirt or soaped by her dog, but there's something to be said for wearing old clothes or nothing at all when you wash a dog. A Dog-O-Matic dog bath is not cheap. A wash and dry for a small dog or cat (heaven's forbid!) is £13, for medium dogs, £22, and for large boys £31 (roughly $21, $35, and $50!) And it doesn't even including a grooming. When interviewed by the British Mail Online, Mr. Jarry said, "... The dogs don't seem to get bored. They just sit there and come out clean." Hmm. Not in these pictures. This dog isn't bored, he's having an anxiety attack. Mr. Jarry said he would love to have the Dog-O-Matic machines selling in England, but "at the moment people are still getting used to the idea." I bet the dogs will never get used to the idea.